This is not your ordinary card! You will not just walk into a shop and find these. They have been created just for our tribe! These original pieces are done in collaboration with artist, Anna Alvarado. Professionally printed on heavy-weight cover stock with a glossy smooth finish. Each card is blank on the inside and measures at 5.25"x5.25". 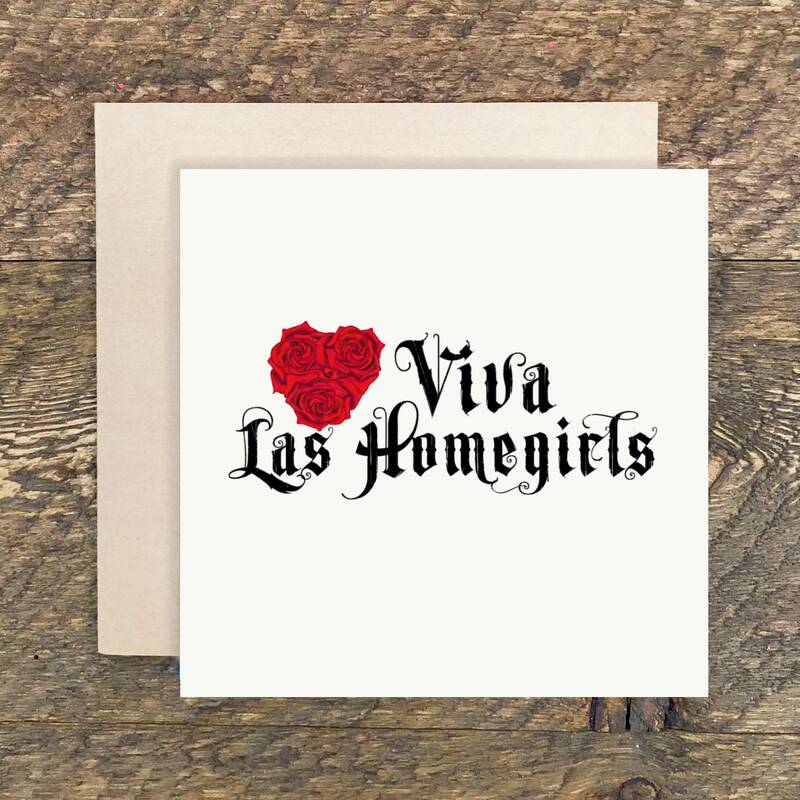 The card comes folded with a kraft envelope. It is inserted into a clear cello resealable packet and shipped to you in a protective mailer. 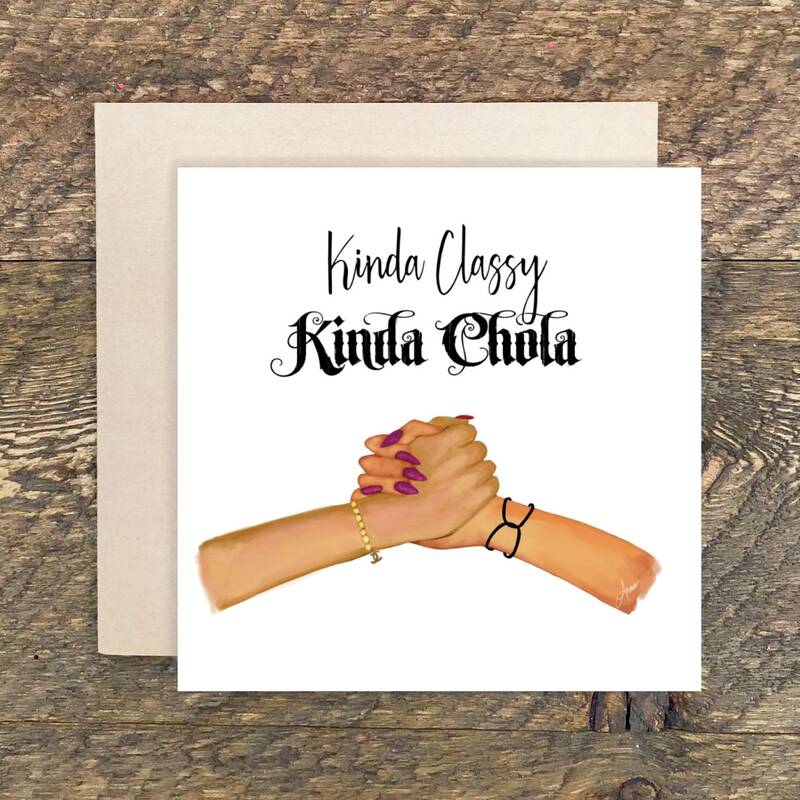 Give the to your best friends, comadres, homegirls... tu sabes. They are so beautiful you may just want to FRAME them and hang them as art. Sad girl and Mousie. 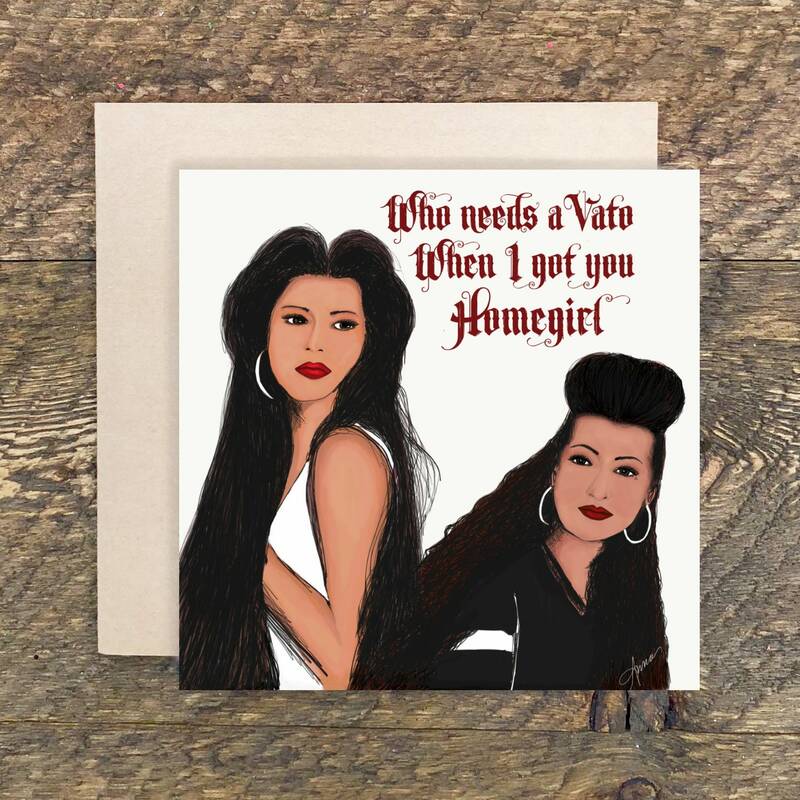 Who needs a Vato? Buy the 3 Pack and get all three!